Cable Services distribute street lighting equipment products from the market leading manufacturer Lucy Zodion and have over the years acquired a wide expertise in the installation of the whole range of street lighting projects. MC040SLF Single Phase Fuse Unit designed, tested and manufactured in accordance with BS7654.1997. MC040DN Compact Double Pole Unit designed for installation in confined spaces. Our vast experience coupled with stocks unequalled anywhere in the UK makes Cable Services the only choice for Lucy Zodion Street Lighting products. This micro site is a resource for specific manufacturer information on the range of street lighting equipment we supply and provides in depth information and specifications. Lucy Zodion is a leading manufacturer and supplier of street lighting equipment within the UK. Continuous investment in Lucy Zodion ensures state of the art lighting products and solutions. Local manufacturing ensures high quality products and total customer satisfaction. For information about the history, measurements, advantage and disadvantages plus much more go to the Steet Lighting Wikipedia page. The Titan 2 range provides improved flexibility and will be the only unit available that gives the extensive range of options required by installers. Built for ease of installation. 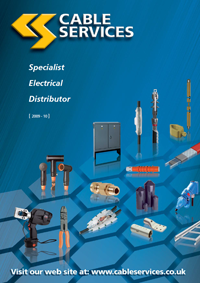 Designed, tested and manufactured in accordance with BS7654.1997. The compact double pole MC040DN fuse unit has been designed for installation in confined spaces. Classic Cast Iron Pillar range for increased weather protection, security and long service life. Sheet steel robust enclosures, able to provide electrical services for a variety of applications. Sheet steel range is available in 7 sizes.